Discover how RSI empowers productivity through proactive, intuitive and intelligent collaboration analytics. Shadow solutions help businesses track, monitor and manage their communication network facilities. OSHAWA, Ontario — April 9, 2019 — Resource Software International Ltd. (RSI), a leading provider of total communication management solutions (TCMS) for every enterprise, today announced that its Shadow CMS Enterprise v 5.2.3 analytics is compliant with Avaya Aura® Session Manager Release 8.0 and Shadow OSN Onsite Notification v 2.4 is compliant with Avaya IP Office Release 11. Avaya is a global leader in enterprise communications systems, software and services. Shadow CMS Enterprise helps businesses curb misuse, reconcile telecom expenses, highlight detrimental quality of service, discover system hacks and manage the health of their communication networks. The application now is compliance-tested by Avaya for compatibility with Avaya Aura® Session Manager Release 8.0. 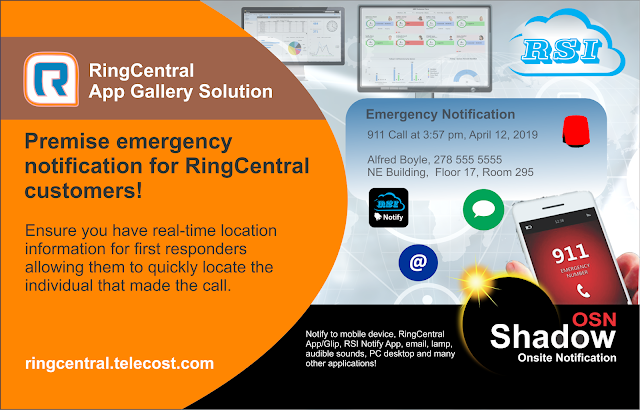 Shadow OSN Onsite Notification offers premise-based alerting of Avaya IP Office emergency events helping ensure safety and security. 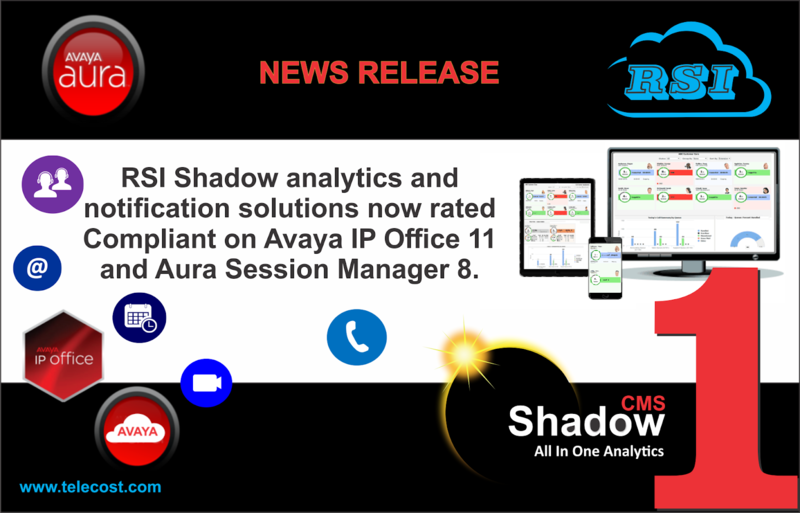 "RSI is delighted our core portfolio, Shadow, has demonstrated compliance with Avaya Aura® Session Manager Release 8.0 and Avaya IP Office Release 11. Over the years, Shadow has been continually developed to meet the high standards of interoperability with Avaya. We offer the broadest range of compatible analytics solutions for Avaya telephony platforms for various industry segments including hospitality, health care, education, government, retail and general business," said Rito Salomone, President, RSI. "Shadow helps our mutual customers enhance security, maximize efficiency and productivity, track and analyze networks, and forecast, monitor and allocate communications management expenses." RSI is a Technology Partner in the Avaya DevConnect program—an initiative to develop, market and sell innovative third-party products that interoperate with Avaya technology and extend the value of a company’s investment in its network. As a Technology Partner, RSI is eligible to submit products for compliance testing by the Avaya Solution Interoperability and Test Lab. There, a team of Avaya engineers develops a comprehensive test plan for each application to verify whether it is Avaya compatible. Doing so enables businesses to confidently add best-in-class capabilities to their network without having to replace their existing infrastructure—speeding deployment of new applications and reducing both network complexity and implementation costs. "RSI is a long term Technology Partner of Avaya providing a broad range of multi-platform communication management solutions to our mutual customers ”, said Eric Rossman, vice president, developer relations, Avaya. 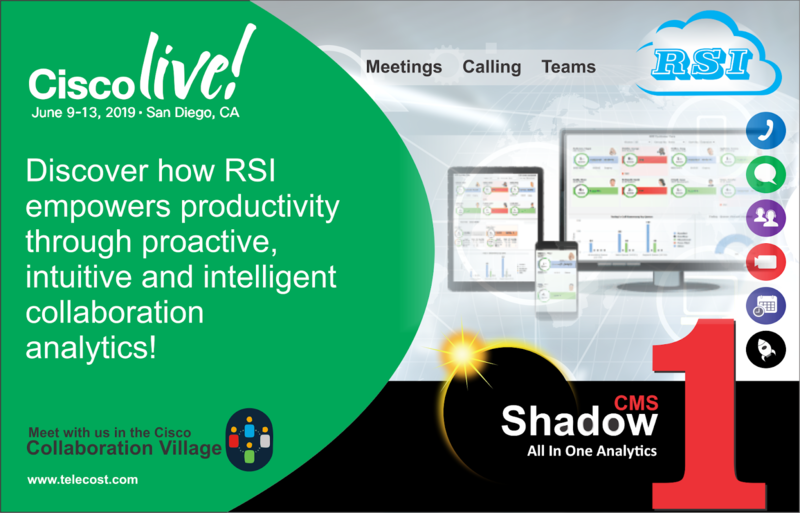 “Through systematic analysis, reporting and reconciliation, RSI Shadow solutions have helped improve customers safety, cut costs, increase productivity and bolster the bottom line." Founded in 1990, Resource Software International Ltd. is a developer, manufacturer and distributor of collaboration analytics solutions. The company offers a wide range of products including: call accounting, contact center dashboards, cradle-to-grave analysis, adoption analytics and emergency notification. RSI has distributors in North America, Europe, Caribbean and Middle East. As a proud Avaya DevConnect Technology Partner, RSI is focused on providing Avaya customers training and resources that offer insight about the health of their communication ecosystem. For more information visit www.telecost.com. Avaya Basic Call Management Recording Desktop (BCMR-D)™ software was used to give supervisors the real-time and historical call center data that they need to gain center efficiencies and reduce costs. BCMR Desktop software as a highly functional, low-cost, MIS solution that generally satisfied the needs of many call centers without having to invest in more elaborate costly Elite Contact Center reporting functionality. Avaya discontinued BCMR-D leaving customers with very few options. RSI, an Avaya DevConnect partner, continues to offer a low-cost alternative to BCMR-D, that allows customers to visualize the valuable real time agents/queue activity in a modern day dashboard. 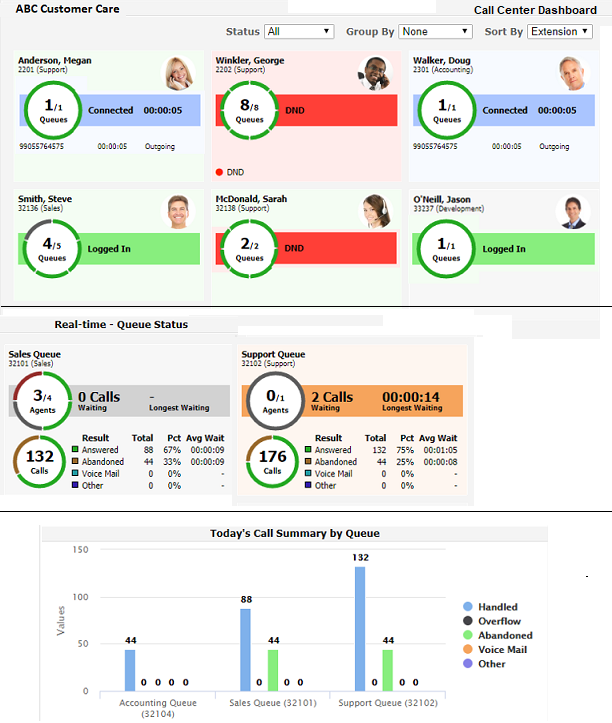 Shadow CMS All-In-One Analytics for Avaya CM fully supports BCMR historical and real time reporting. RSI is a proud vendor of All-in-One communication analytics for all major AVAYA platforms (from legacy systems to Avaya Cloud). You may want to talk to us about our consolidated approach to managing your entire collaboration ecosystem in-house or in the cloud! We can help you get serious about managing your entire collaboration ecosystem (even non-AVAYA)! Visit our website at https://www.telecost.com or email sales@telecost.com for more details!